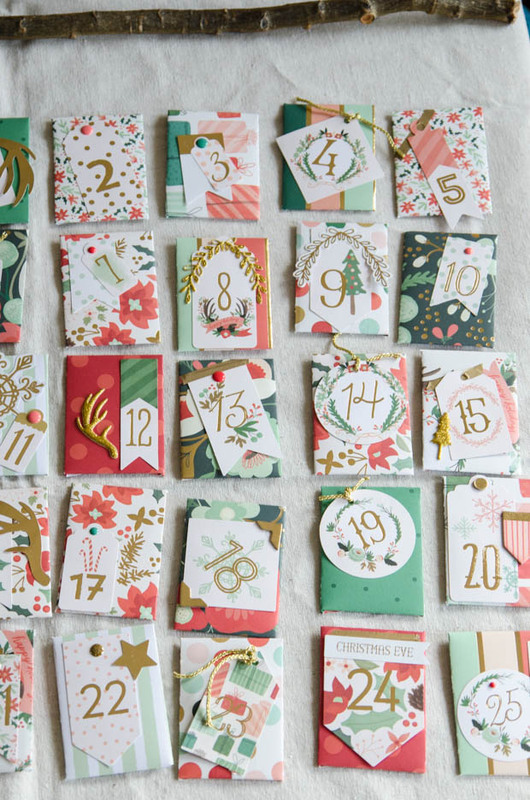 Advent calendars are one of my favourite traditions. 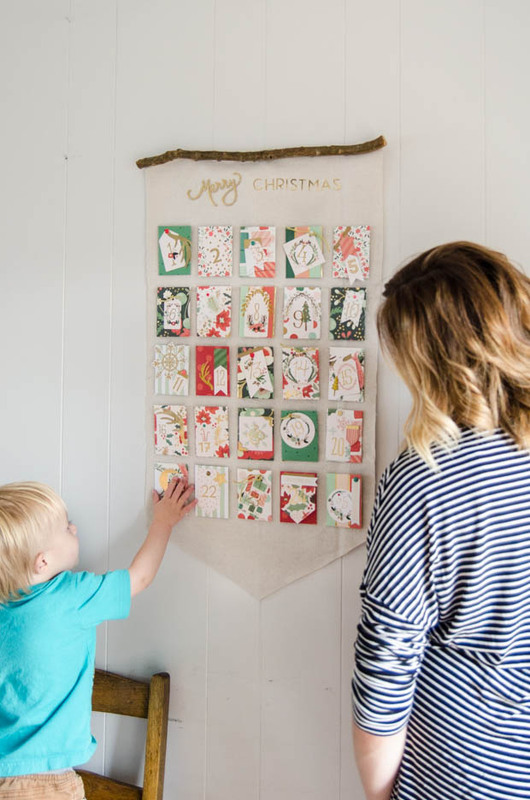 When we were younger, my grandma stitched us a hanging calendar with little pockets my mom would fill. As the years went by, they got more and more extravagant- Christmas season was officially here December 1st when we’d unwrap that first gift. Now that I have kids of my own, I want to carry on that tradition. 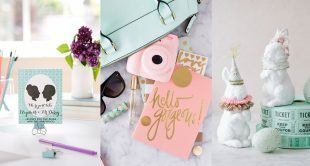 Since they’re young and we certainly don’t need more ‘stuff’ in our home, I’ve created one that carries activities each day instead of gifts. They’ll be more excited to build a snowman together or roast s’mores over candlelight than they would be to unwrap an ornament. 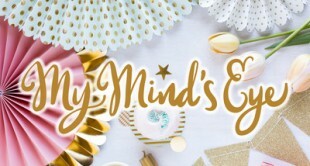 I completely fell in love with the My Mind’s Eye Christmas on Market Street designs this year and when I spotted the advent tags, I knew what I’d be making. I’m actually not much of a paper crafter, but the kit gave me everything I needed to create an advent without any fancy paper crafting tools. I’m planning to keep the advent stored for the year and fill it with new surprises next year! 1. 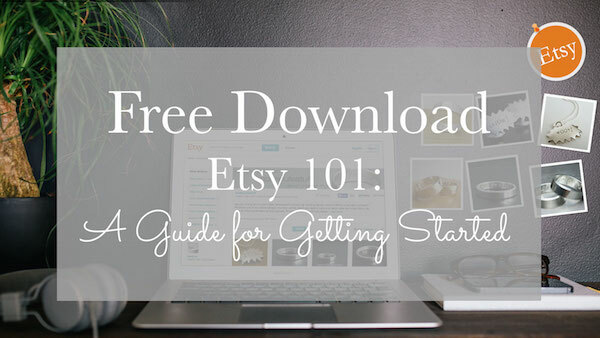 The first thing you’ll want to do is create your envelopes. I resized this template and printed it off to cut four envelopes from one sheet of scrapbook paper. 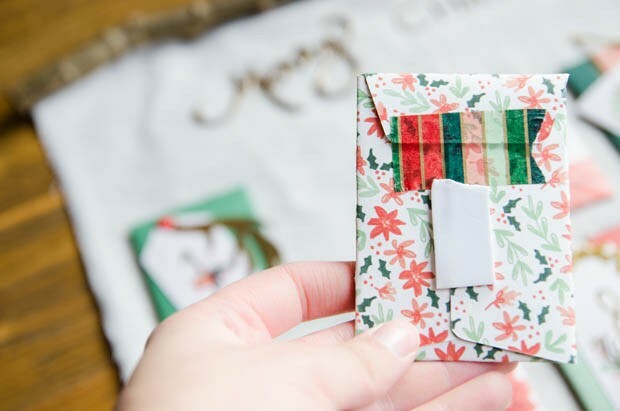 These envelopes are the perfect size for gift cards too! 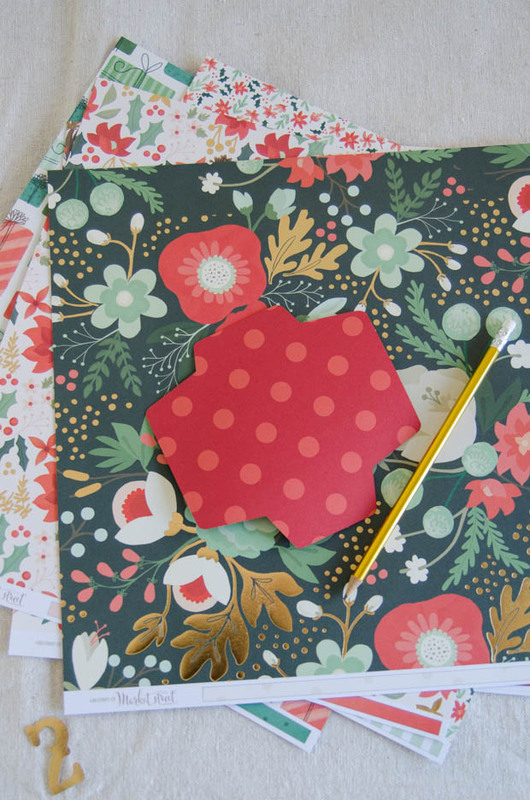 You can use a craft knife or scissors to cut these out- a cutting machine would also work wonders! 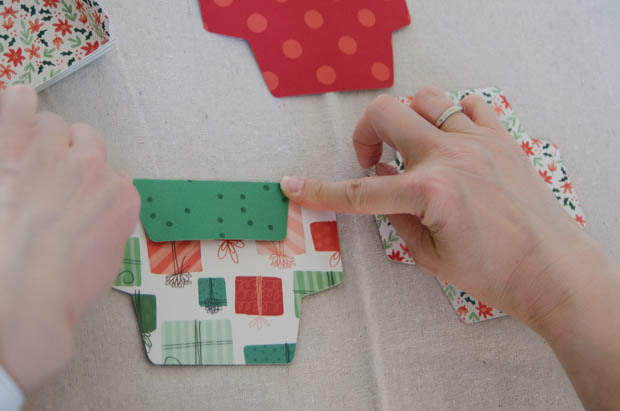 Assemble the envelopes by folding and adhering with double sided tape. 2. Next, cut cards to write your activities on. I used the mini scrapbook paper pack and cut six out of each. 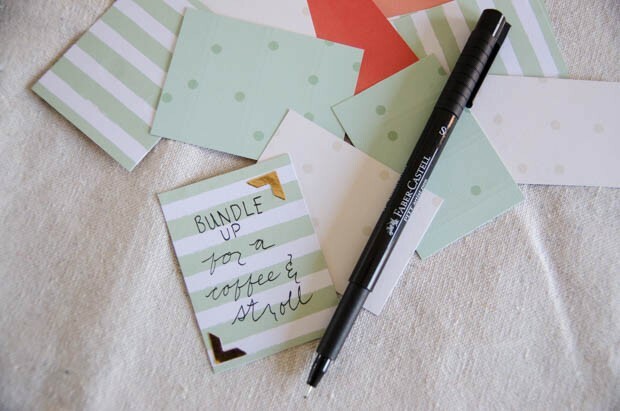 Add your activities and some embellishments if you like and slide them into the envelopes. 3. 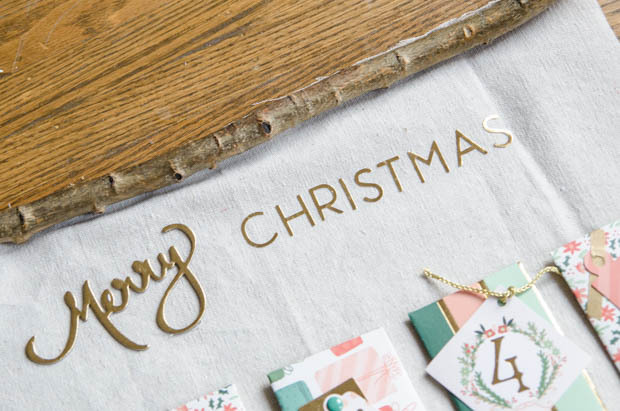 Now it’s time to add tags and pretty bits to your envelopes! 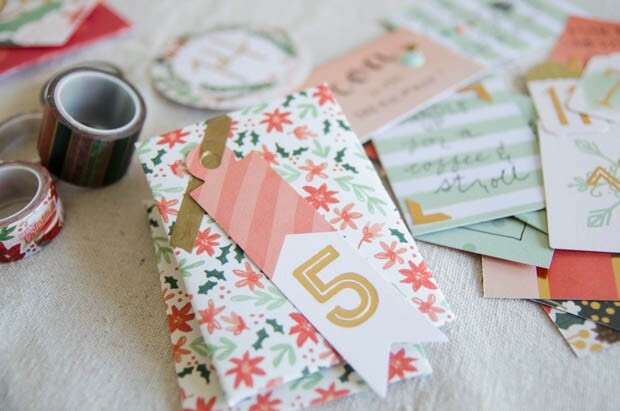 I used the advent tags from the kit and adhered them with double sided tape, washi tape from the kit. I loved the look of the enamel dots where the tags would string on. 4. 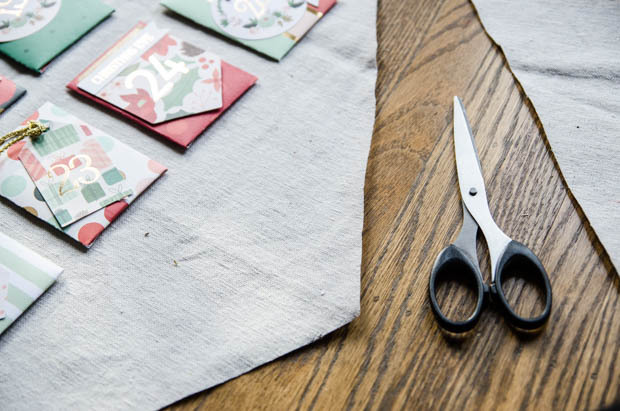 When all your envelopes are ready, arrange them on your drop cloth and cut it to size. I left some space at the top for the ‘Merry Christmas’ chipboard and stickers. 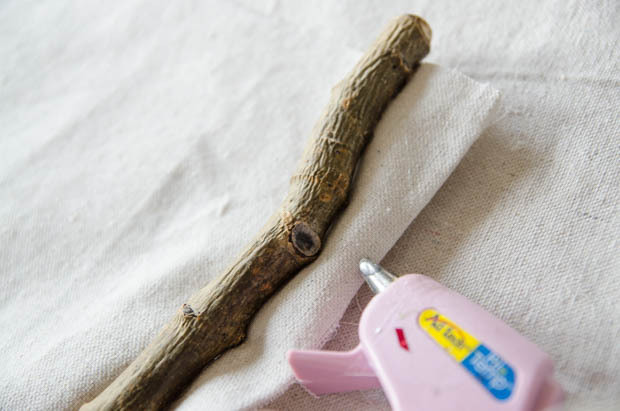 Use hot glue to affix the stick to the drop cloth, then trim as close as possible to the glue. 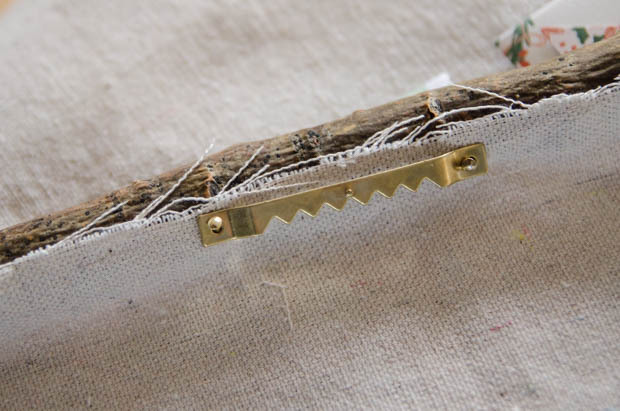 Add a sawtooth hanger to the back of the stick for easy hanging. 5. 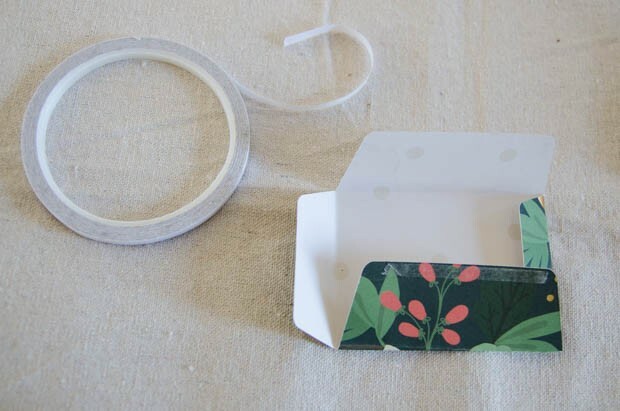 Use mounting tape (foam tape found in the hardware section) to affix the envelopes to the drop cloth. 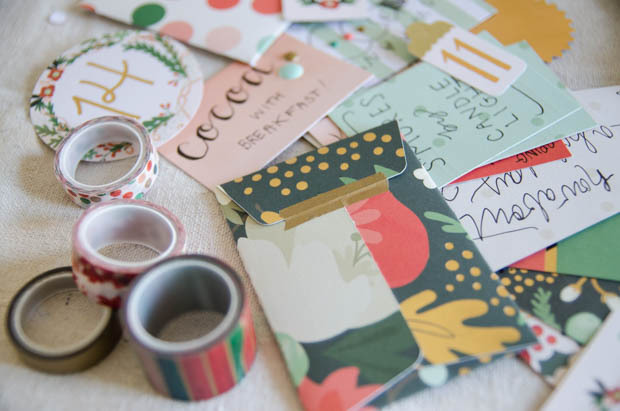 This tape is great because it’s strong enough to hold the envelopes on but easy to pull off to open the envelope… then still holds to put it back up after! Add any stickers (like my Merry Christmas) you like. 6. My finishing touch was cutting a banner shape on the bottom of the drop cloth. Now you’re ready to admire it and anticipate December 1st. Because with this on your wall it will seem like that’s all too far away (especially for little fingers!). 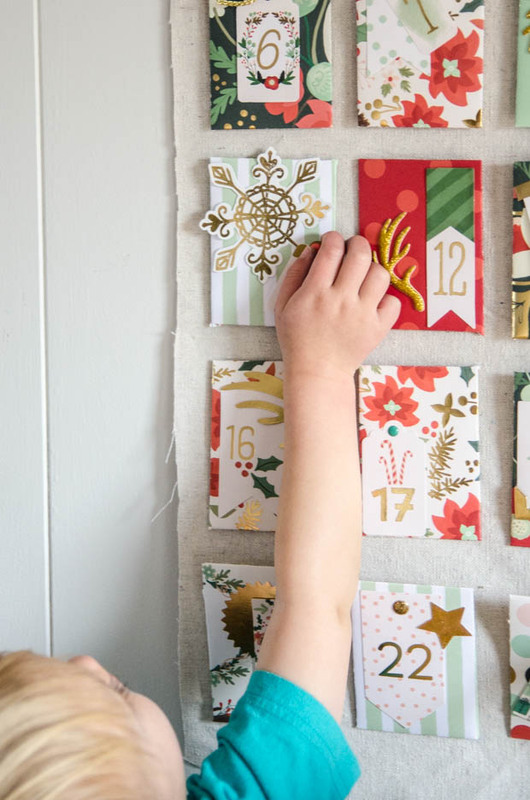 Is an advent part of your holiday traditions? 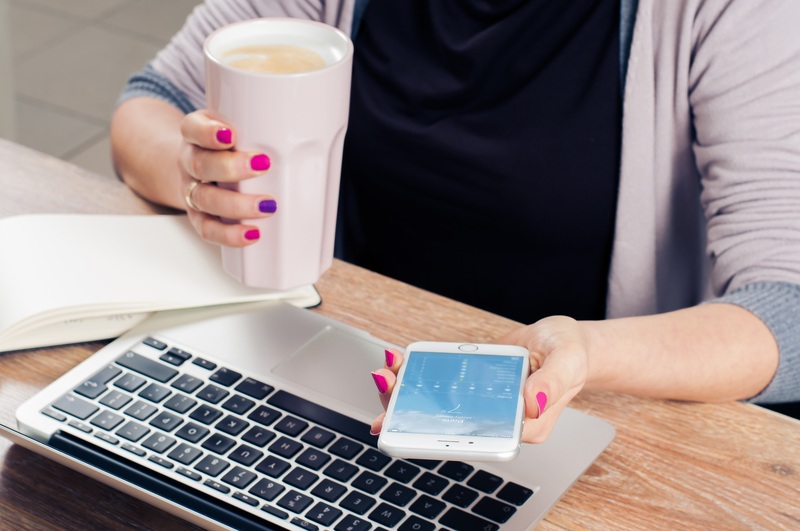 Would you consider creating one instead of purchasing?